Sentinelese during their first friendly contact with the Indian experts in 1991. Photo provided by Madhumala Chattopadhyay. John Allen Chau, a 26-year-old American missionary, who “illegally” paddled his way to the remote shores of North Sentinel Island in the Andaman and Nicobar archipelago, was recently killed by the protected Sentinelese tribe. Experts apprehend that his “trespassing” to contact the North Sentinel islanders, the “uncontacted” and “isolated” inhabitants, may have further endangered the existence of the bow-wielding natives. They have warned that attempts to recover the body “could well lead to further violence and completely unwarranted loss of life” in the island hundreds of kilometres off the southeastern coast of India in the Indian ocean. “The rights and the desires of the Sentinelese need to be respected and nothing is to be achieved by escalating the conflict and tension, and worse, to creating a situation where more harm is caused,” said a statement by Indian activists, authors and researchers including Pankaj Sekhsaria and Madhusree Mukerjee. Professor Anvita Abbi, a veteran linguist who has studied the tribal languages of India’s Andaman and Nicobar islands, stressed this incident is enough to tell us that these hunter and gatherer tribes do not want any interaction with outsiders. “They are happy as they are. They have lived for more than 50,000 years happily amalgamating their life with nature and have struck a beautiful equilibrium. We have no right to puncture this at any cost. Let them decide the time and the intensity of the contact,” Abbi told Mongabay-India. “Neighbouring tribes were wiped out after the British colonised their islands, and they lack immunity to common diseases like flu or measles, which would decimate their population,” a statement by the global organisation that champions tribal peoples’ rights said. In 2006, two Indian fishermen, whose boat drifted onto the island, approximately the size of Manhattan, were killed by the tribe. Their ancient knowledge of the movement of wind, sea and birds may have helped them survive the deadly Indian Ocean tsunami two years earlier. “They are highly endogamous (marry within the tribe) group, living in an isolated and pollution free environment for the last tens of thousands of year. Hence, they are adapted to live in that environment. If they are exposed to any new environment, they may have severe health issues”, K. Thangaraj, chief scientist, Centre for Cellular and Molecular Biology, told Mongabay-India. Kanchan Mukhopadhyay, a former Anthropological Survey of India researcher, who was stationed in the Andaman and Nicobar Islands, who also laid emphasis on not retrieving the body, flagged concerns over the potential of pathogens spreading as the body lies on their island. “This body is lying there and we have no idea what pathogens this body is spreading there,” Mukhopadhyay told Mongabay-India. The fishermen who were paid Rs 25,000 to smuggle Chau to the island, on the morning of November 17, saw what looked like Chau’s body being buried on the island’s shore. “This is a wake-up call for the so called ‘foreign adventurists’ to stop entering ‘out of bounds’ and ‘non-permissible’ areas for the sake of encountering ‘exoticism’,” Abbi remarked. Since the missionary’s death, Andaman and Nicobar Island police have made two surveys of North Sentinel island, spotting tribesmen on the beach where Chau was last seen. As per unconfirmed reports, the Andaman and Nicobar administration has decided to call off the efforts to recover the body of the American national. But Dependra Pathak, who is the Director General of Police, Andaman and Nicobar Islands, told Mongabay-India that it can’t be said right now that efforts to recover the American national’s body have been called off. “We have been saying that we have to be sensitive (about the incident). We are deliberating with tribal welfare experts … We are waiting for some response from anthropologists. The investigations are on. There is a very important element of reconstruction of the entire incident moment by moment. The whole case is being scanned that what all happened during that time,” said Pathak. Pathak cleared the air saying they have “no plans to go and barge in and engage in any kind of confrontation.” He stressed that the administration is implementing the law of the land. In January 1991, Indian experts for the first time made a friendly contact with the protected Sentinelese tribe. Photo provided by Dr Madhumala Chattopadhyay. “The regulation and the law prohibits everyone including the police to go there. Also, there is the sensitivity aspect. We can’t put them under any kind of stress. They are our human treasure,” he added. Referring to attempts to retrieve the body, Mukhopadhyay said “one stupid act of violation” should not be followed by other such acts. “The tribe shot arrows to warn him. He defied the warning and stayed on undeterred. He was killed because he trespassed on Sentinelese property,” Mukhopadhyay said. The Andaman and Nicobar Islands are inhabited by six indigenous tribal populations. The Nicobar Islands are home to two ‘Mongoloid’ tribes – the Shompen and Nicobarese. Of the dozen linguistically distinct tribes who populated the Andaman islands in the early 20th century, only four survive, the Sentinelese, Jarawa, Great Andamanese, and Onge, with a combined population of 400 to 500 individuals. They are believed to have arrived in the islands from Africa up to 60,000 years ago. The Sentinelese population is placed at a scant and contested 15 according to the 2011 Census of India. “But it is not correct to dub them ‘Stone Age’ tribe because they may not have been living in the same way they have for the tens of thousands of years,” Mukhopadhyay said. The Andamanese earned a reputation for ferocity due to their violent resistance to foreign intrusions. They remained comparatively isolated from the outside world until the establishment of a British penal settlement in the islands, after the Indian Mutiny of 1857. The British befriended one of the tribes, the Great Andamanese, and employed them as bush police to recapture escaped convicts. The Great Andamanese suffered the brunt of colonialism, and, in the 19th and 20th their number collapsed from several hundreds to a few dozen individuals. “Any outsider-contact has brought diseases, subjugation, sexual assault, and ultimately decimation of the tribal culture, tribal life and tribal language. The standing example is Great Andamanese. For years Jarawas maintained the same isolation and now they regret the interaction with us,” explained Abbi. The notion of “hostility” is a “colonial construct”, as Mukhopadhyay put its, and is a licence to kill. “In pre- and early colonial years the Jarawas inhabited southern parts of Great Andaman Islands. They were pushed northward to clear areas around Port Blair. The Jarawas resisted displacement but were termed as hostile,” Mukhopadhyay explained. In February 1991, the experts successfully made a second friendly contact with the Sentinelese. Photo provided by Madhumala Chattopadhyay. “Later, the Bush Police Force used to attack Jarawa hutments and kill them. In 1930’s officials admitted, Jarawa population depleted due to such ‘punitive actions,” he said. In fact, there have been instances of Indian researchers making “friendly contact” with the reclusive Sentinelese. Madhumala Chattopadhyay, an anthropologist who was the first one to make a friendly contact during an expedition of the Andaman administration with the Sentinelese in January 1991, also advocates for leaving them alone. 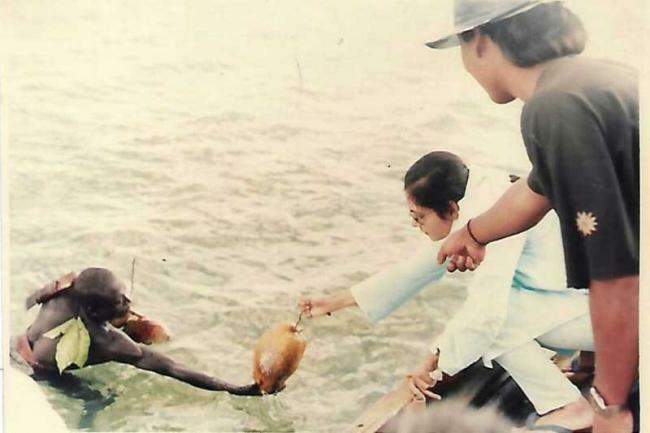 She was also a part of the second contact expedition of the Andaman administration that made a friendly contact with them in February 1991. She recounts in January 1991, the team started dropping gunny bags full of coconuts near the shore, and gradually the Sentinelese started collecting them. “For a long time, this procedure went on and they understood that we are not entering their territory,” said Chattopadhyay, who during her work in the Andaman and Nicobar Islands from 1989 to 1996 made friendly contact with other tribes like the Jarawas, the Onges and the Car Nicobarese as well. Chattopadhyay, who was working for the Anthropological Survey of India at that time, was also the first female anthropologist to make contact with Jarawas in January 1991. During her tenure she worked with all the six tribes found in the region. Chattopadhyay said, “when a small population is surviving, we should not disturb them because with a small population we can’t predict [what will happen to them]”. She feels that any undesired contact could lead to irreversible harmful impact to their population. In the aftermath of the Chau affair, Survival International has flayed the Indian government for lapses in protection and for easing the restricted area permit (RAP) to visit 29 inhabited islands, including North Sentinel. “This tragedy should never have been allowed to happen. The Indian authorities should have been enforcing the protection of the Sentinelese and their island for the safety of both the tribe, and outsiders,” Survival International’s Director Stephen Corry in an official statement. “Instead, a few months ago, the authorities lifted one of the restrictions that had been protecting the Sentinelese tribe’s island from foreign tourists, which sent exactly the wrong message, and may have contributed to this terrible event,” the statement said. The 29 islands, which were removed from the Restricted Area Permit (RAP) regime notified under the Foreigners (Restricted Areas) Order, 1963, till December 31, 2022, included the North Sentinel Island. However, the government had clarified that separate approvals of the competent authority would continue to be required for visiting reserved forests, wildlife sanctuaries and tribal reserves. The exotic location and the tourism potential of the islands has for long been a topic of discussion and on the central government’s agenda. In June 2017, an Island Development Agency (IDA) headed by India’s home minister was constituted and Indian government’s think tank, NITI Aayog, was mandated to steer the holistic development of Islands program. Under this programme, in the first phase, it was decided that 10 Islands in the Andaman & Nicobar and Lakshadweep will be taken up for holistic development. The IDA had reviewed 11 anchor tourism projects of which six are in Andaman and Nicobar Islands. For enhanced connectivity, the airport at Diglipur in Andamans is expected to be made operational for civilian aircrafts by December 2018. In August 2018, NITI Aayog’s Chief Executive Officer Amitabh Kant, while speaking at an investors’ conference developing new islands, remarked that Indian government was looking to offer about 100 islands in the Andaman & Nicobar and Lakshadweep for tourism purposes. He had also stated that foreign tourists would not need separate permission to visit these islands as the government is focusing on increasing the tourism inflow. During the same month, India’s home ministry announced that foreign tourists will now be able to visit 29 inhabited islands in the, which were prohibited for visitors, without any restrictions and 11 uninhabited islands (only for day visits). The decision government said was taken to promote tourism and overall development of the Andaman and Nicobar Islands. Prime Minister Narendra Modi is expected to visit Port Blair, which is capital of the Andaman and Nicobar Islands, on December 30 to commemorate the 75th anniversary of the first flag hoisting day by Indian revolutionary Netaji Subhash Chandra Bose (December 30, 1943) on Indian soil. It was reported that PM is expected to announce major projects but it may not happen in wake of the criticism against opening up of areas in the Andamans after Chau’s death. Anthropologist TN Pandit, who spent about 25 years in Andaman and Nicobar Islands, working on the issue of protected tribes. Photo provided by TN Pandit. According to a report, India’s home ministry may consider reimposing the restricted area permit system in North Sentinel island and other islands in the wake of Chau’s death. Madhumala Chattopadhyay, who now works with the central government in Delhi, advocates leaving the Sentinelese alone. “If they express their willingness … If they want to come to mainstream then only, otherwise we should not disturb them because they have their own culture. They are an organised society. Not just them, this should be the way for all other tribes as well,” Chattopadhyay said. “The tribes have small populations and they are organised. They have their own food habits and a way of life. The administration can look at helping them if there is a natural calamity. We should avoid tourism in these areas because it can harm the survival of these small population of tribes,” she said. The only documented visit to the North Sentinel island in independent India’s history has been in 1967 when a team of around 18 people landed on the island. The team that included noted anthropologist TN Pandit observed Sentinelese settlements which included slanted-roof huts all facing each other, and small fires outside each hut. 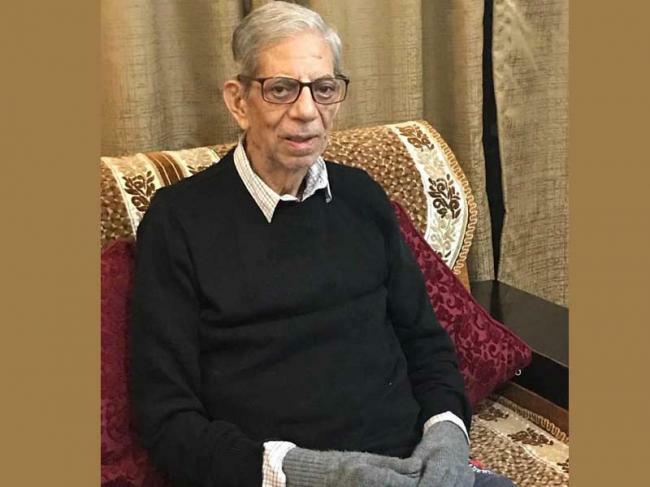 Pandit, an octogenarian who is now retired and living a quiet life in Delhi, has had a very busy time since the Chau’s incident came to light. He worked in Andamans for over 25 years till 1992 when he retired. Both Pandit and Chattopadhyay recount that after the two friendly contacts in 1991 further contact missions were discontinued by the local administration. “A limited contact was made in 1991. 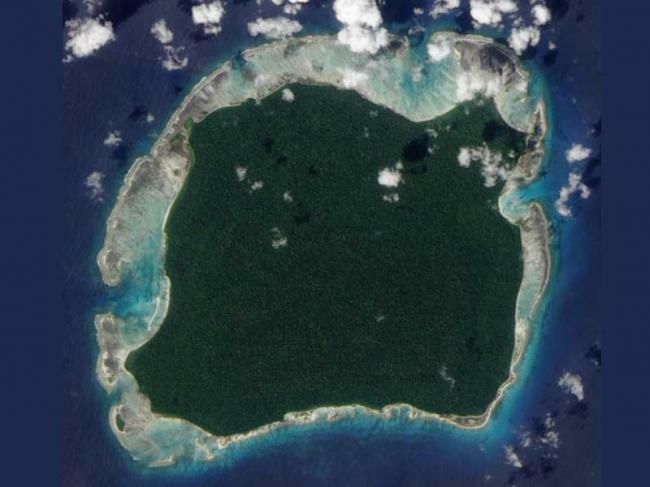 The North Sentinel Island is a separate island and no one lives there except the Sentinelese. My personal opinion is that they are living peacefully and not disturbing anyone,” Pandit told Mongabay-India. He also said that efforts to promote tourism in such areas need to be discouraged. “Tourism should not extend to areas where tribal people live. Too much tourism will lead to bad things. It creates problems. But limited kind of tourism where people are not affected by it (can be considered) because otherwise, things become difficult to control. Tourism with proper precaution may be possible,” Pandit said. “Sentinelese are a small population – less than 100 in my estimate — if they are exposed to tourism or contacts too soon it may cause harm to them,” Pandit warned. Sumit Mukherjee, a former Anthropological Survey of India researcher, who specialises in human ecology, questioned whether these tribes need “our kind of development” ? “The ‘development’ planning we have so far done for them since our contact with them (tribes in the Andaman and Nicobar archipelago) have sadly resulted in more damage than welfare to their society. So we should agree that we have failed to understand what is effective development for them. They never asked for it,” Mukherjee said. Backing the “eyes on, hands off” approach of the development agencies towards the tribes. Mukherjee cautioned against formulating any effective and quick process of bridging a cultural gap of thousands of years in a few decades. Abbi said “development” may kill these tribes and that “one uniform policy cannot work for all” tribes. “The Indian government should not paint all tribes of the country with the same paint brush. We have very diverse types of tribes from the North East of India to the South of India and far away in the Andaman and Nicobar islands. Hunter-gatherer tribes have to be treated with utmost care and they demand seclusion from the outside world,” Abbi iterated. “What I recommend we should keep close and careful watch to save every life of those populations and may provide required protective measures and certain carefully prescribed medical services if absolutely required,” Sumit Mukherjee signed off.